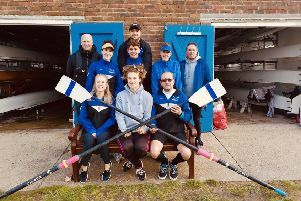 Mother and daughter pairing Sally and Lisa Mills took to the water for the recent Sussex County Championships. The duo both swim for Mid Sussex Marlins with Washington-based Lisa competing in her first county masters event. Lisa took part in six different events in the 35-39 age group category. In the 25metre and 50m butterfly, 25m and 50m freestyle, 25m, 50m and 100m breaststroke and 100m individual medley Lisa recorded personal best times in each - marking what proved to be an impressive debut in a county competition. Mother Sally, who came third in the south east awards swimmer of the year, competed in the 60-64 age group category. Sally five of the six events she entered, finishing second in the other.